On the 29th March Jamie will be performing A new arrangement made of music from Handel Oratorios with the Templar Scholars. 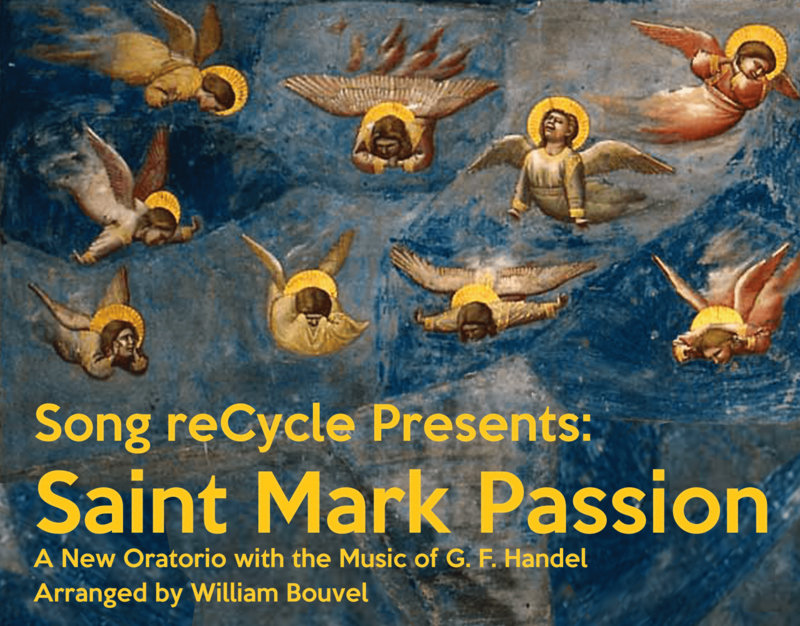 Song reCycle announces the world premier performance of Saint Mark Passion, a new oratorio created from existing music by G. F. Handel. Southwark Cathedral is proud to offer this concert freely to the public, no tickets required, on Palm Sunday, 29th March, 6:30 pm. Saint Mark Passion was arranged by Song reCycle’s executive producer William Bouvel with music from 17 of Handel’s English oratorios, some popular and some lesser known including: The Messiah, Theodora, Belshazzar, Deborah, and Joseph and his Brethren. All musical selections are in English. The performance will last under two hours. It will be lead from the organ by James Sherlock and narrated by actor Thomas Guthrie. They are joined by soloists William Bouvel tenor, Christopher Dollins baritone, Holly Marie Bingham mezzo soprano, Cristina Jones soprano, Lucinda Stuart-Grant mezzo soprano, Julian Gregory tenor, Nicholas Beever baritone, and The Templar Scholars Choir conducted by Victoria Longdon.